Repairing your teeth and achieving that perfect smile is made possible by the useful process of dental implants. 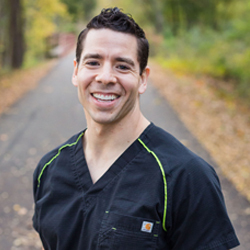 Dr. Brandon Del Toro and our staff here are the professionals you can count on through this entire process- from start to finish. No need to go to a specialist and then back to your dentist. We offer every step of this procedure right in our office, including any needed bone grafting or gum grafting. Having a missing or broken tooth can be painful, detrimental to your oral health, and affects the appearance of your smile. Stop feeling ashamed of your smile and renew your confidence with this comprehensive and long-lasting procedure that provides a new, fully restored smile. With this replacement procedure, you get a new tooth or teeth that look completely natural. Implants operate just like real teeth allowing you to chew, smile, and speak as you normally would. Not only do they create a healthier looking, more complete smile; our dental implant restorations are also very beneficial to your overall oral health. Over time, patients can develop tooth decay, gum issues, and broken teeth. These issues can lead to discomfort and lack of confidence in your smile. Choosing the implant dentistry process can cure all these problems. With this procedure, you attain long-lasting results with prosthetic teeth modeled to look and perform like natural teeth. The process is based on a titanium root that is first implanted into the jawbone. Once the implant is set and your gums have adjusted to the new tooth root, an “abutment” is attached. This abutment acts as the attachment site for your prosthetic tooth. The next step is a customized crown (your prosthetic tooth) is placed and fitted onto the abutment. The result is a beautiful, permanent replacement tooth that is sturdy and acts like your natural tooth. Improved Oral Health – with implants, pain and discomfort from any ongoing issues can be alleviated. It also improves your jaw bone structure and allows your gums to strengthen and not deteriorate in that space over time. You can also eat, talk, floss, brush, and take care of the area much better than if there were no tooth in place. Cosmetic Bonus – With implants you can achieve a healthy and full smile, repair chips, and improve broken or missing teeth, making your smile appear more attractive. The first step to obtaining this procedure is a full consultation with Dr. Del Toro and see if it’s the right choice and fit for your particular dental needs. He will guide you through the process and discuss your options. Our staff will examine your mouth, gums, and teeth and determine what course of action needs to be done. Your medical history will also be taken into consideration at this time to be sure this is a safe option for you. In certain cases, a patient may need bone grafts, gum grafts, or sinus lifts completed simultaneously during the implant procedure, or before they can progress to the actual implant procedure. These additional treatments would only be performed if it is deemed necessary for a proper and optimum implant result. The process of obtaining an implant or restoration in our office is simple because we perform all steps of the procedure in our one location. If you have anxiety about dental procedures then sedation options are available for this kind of procedure. It is imperative you take care of your new teeth by flossing and brushing daily and maintaining your routine check-ups with our team. Implant dentistry is a very advanced procedure that works both to restore and cosmetically enhance your smile. Because of it’s comprehensive approach to replacing the tooth root, there is very little upkeep required for implants. However, we strongly recommend keeping regular check-up appointments and maintaining healthy dental hygiene habits. We also offer dental implant restoration treatments including bridges, partials, implant dentures, hybrid dentures and full mouth restorations. Call our expert team today at (903) 732-0061 to learn more about this procedure and our services.